We are certified according to the international standards ISO 9001:2015 and ISO 14001:2015. Our management system combines the requirements of the standard ISO 9001 for quality management systems and the ones of the standard ISO 14001 for environmental management systems. With the certification, we provide a documented proof for our quality-conscious and customer-oriented business as well as our responsible management of resources and environment. 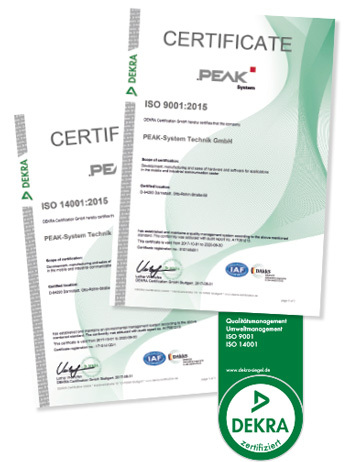 The certification was carried out by DEKRA Certification GmbH. The certificates are available on our website in the languages German, English, and French for download.